David Barringer’s book, There’s Nothing Funny About Design (Princeton Architectural Press, 2009) is actually very funny. This collection of new and revised essays presents the graphic design world with a kick in the literary pants. Barringer’s writing is bluntly personal yet rarely narcissistic; his prose often bristles with the excitement of an angry porcupine, yet it’s always grounded in rigorous thinking. No one else in our field is producing writing quite like this. As a self-taught designer, freelance writer, and work-at-home dad, Barringer is both an insider and outsider to the design discourse. He makes sense of what designers do and then takes us apart with his needle-sharp verbal tools. The conversation that follows was conducted via e-mail over a three-day period. Ellen Lupton: Some of your essays are book reviews or commentaries on specific themes in pop culture. Other pieces attack broader topics such as the nature of criticism or the myth of the self-taught designer. And then you end with wacky pseudo-advice that crawls up inside the bowels of the profession (this is some of the best stuff in the book). Who do you imagine reading your book? What kind of writing do designers need? What will you write next? David Barringer: Confronting ideas is part of what it means to be a graphic designer. And confronting ideas, intentions, symbols and meanings is critical to writing about graphic design and design culture. I enjoy tracing the meanings of symbols, icons, and ideas as they have changed over time. Design takes from the world, transforms what it takes, and sends a new, transformed thing back out into the world. That process can be beautifully complex and endlessly fascinating. Chickens, skulls, the letter X: these have been used for thousands of years. What does it mean for a designer to use that symbol today? How might people interpret that symbol today? Shouldn’t designers know a little history of the symbol they’re using? I like writing about that kind of stuff. An object, icon or idea (like evolution, criticism, creativity, desire, success) gives me a way in to design culture, but I write in personal, literary, and digressive ways in order to keep the subject alive for myself as well as for the reader. This is how I end up writing about my grandfather’s business cards, the skin patterns of snakes, the branding of drugs, and the future of surgical self-modification. Hybrid writing forms are perfect for design, because design itself is a hybrid of art, business and culture. Design is an eye of many storms. So it’s because of design’s great connectedness to art, business and culture that I have in mind a reader who might be a designer but could be any creative person, an artist, photographer, or writer, or someone who, like me, can’t help having fun thinking about what the world means. I’m working on a play, a screenplay, a novel, and more essays, and they all have designers as characters or design as a subject. Designers are always pushing forms, so I try to push the forms of writing about design. It seems fitting. Years ago I worked for a small design company in Detroit. I wrote the articles for an internal automotive magazine, but as I traveled to auto plants across the Midwest, I took on more duties, like taking photos and sketching layouts. As our prepress department grew busier, the graphic designers showed me how to use PageMaker and, later, InDesign. I subscribed to design magazines and bought graphic-design books. I never felt I was entering a broad, new field. I was just driven by the narrow need to lay out the next issue quickly. In 2003 I read Emigre 65 and, later, Emigre 66, and everything changed. Some essays were groping and sloppy, some were rants, and some were case studies that depended on jargon. That's when I felt graphic design expand beyond the realm of the urgent task into the world of thinking and writing. I understood that I could best contribute to design by writing about design. Basically, I saw a white rabbit pop into a hole, and I followed. I also realized that as culture and technology evolved, design would evolve with it, so there would always be something to write about. DB: No on both counts. I don't sit on the bleachers and let other guys dance with my girl just because they took a few classes at Arthur Murray. The pressure on professional graphic designers to increase the value of their contributions is not coming from a few undegreed designers making flyers for their uncle's car wash or painting flames on their cousin's dirt bike. It is coming from free, massively distributed, user-friendly software templates that enable consumers to be their own designers. Consumers know a heckuva lot more than they used to, they have access to all the tools, and they're not afraid to use them to save a few bucks. Most creative types have enough instinctive self-doubt in their own value. I think what designers need most today are business partners who know best how to value the designer's work in the marketplace. DB: I get paid less now for my writing than I did in 1992. Forget about education (which is still very important for writers who want to be teachers, academics, and journalists). Every day I start from scratch, like I was just born with an ergonomic keyboard and an email account. I was at a literary festival in Chicago recently, and the topic on every writer’s mind was how to get paid in a world of failing magazines, failing newspapers, and failing publishers. No one knows quite what to do, and no one knows quite how to get paid. It is possible today to envision a future in which 99% of writers are not paid at all. They will have to find other jobs, seek out advertising or other support for their online ventures, regard writing as charity work to be performed in service of a niche community, or work in some model yet to be devised. I can see a model in which, say, a magazine needs a team to collaborate on its next issue. They need a designer, a photographer, and a writer for one or several articles. No one is on staff. They are all freelancers. Using an online find-and-track database, a team coordinator could assemble teams in Dallas, Detroit, and Dubai. Each team meets to research, photograph, and even design the print/web pages, submits the work, gets paid, and then disbands. Each freelancer awaits the next call from a new team leader, who also may be a freelancer. It's cheap, flexible, temporary labor leveraged by computer technology, and it can be used for editorial, business or creative outlets, for magazines, books, newspapers, online ventures, whatever. EL: Is that a dystopian vision of the future, where everyone is a freelancer? Do you see a better answer for authors in self-publishing? DB: It's only one possible model, an extension of the present freelance model. Friends in other industries, including banking and law, tell me this freelance or flex-time model is growing. Larger companies are realizing that flex-time arrangements save them money without sacrificing quality. A working parent with an advanced degree and relevant experience can work from home, be with the kids, and not have to be paid benefits like health insurance. This is what freelance writers and designers have been doing for decades. A writer recently said to me that he feels pretty strong in this new economic environment, because he never had it good in the first place. It was always tough. It's just everyone else who is finally struggling the way he always has. Writers and designers will continue to work in a variety of ways in a variety of models. It's a big world out there, and the market never sleeps. Writers and designers will have to be entrepreneurs or partner with entrepreneurs, creating new ways of working using collaborative software, networking sites, and all the rest. It's a good time to try something new. Self-publishing today depends on the development of faster, cheaper digital presses. Lines are blurring among bookstores, publishers, and authors, with everyone technologically able to produce, market, and sell their own books and magazines. One day the digital press will fit on a table in my office. My future grandkids will probably turn in homework in books printed at home, with a digital page in the back that plays video. EL: One of your books is available on the Kindle — We Were So Ugly We Made Beautiful Things (2003). I bought it for $1.99 and read it on Amtrak. As someone drawn to the physical fact of print, how do you feel about ebooks? DB: Eduardo Recife of misprintedtype.com illustrated that book and designed the cover, so hopefully you were treated to his work as well. I have no ill will whatsoever for ebooks or Kindle or whatever comes next. I think it's like watching TV on Hulu.com or music videos on an iPod or images on a View Finder. Flexibility and portability are good things. I do think that ebooks are a step backwards, however. It's like the fax. It's not flexible or useful enough. Handheld computers should have greater power, and the Kindle instead has less. You should be able to access encyclopedias, dictionaries, and other searchable resources, just like we can on the computer or the iPhone. That's where the real benefit of portable handheld units are. Who cares about downloading Twilight? I care about having access to entire online libraries of reference works, maps, and encyclopedias. I was also caught for days in a blackout in New York back in 2003. It's amazing how much goes out of your life when the power goes out. I learned a lesson about the value of books, as well as the ethereality of ATMs. David Barringer is a writer and graphic designer in North Carolina. He is the 2008 recipient of the AIGA Winterhouse Award for Design Writing and Criticism. The sentiment about our personal collections of books in the final paragraph — I'm going to memorize it verbatim for when my wife occasionally broaches the "why don't we just toss just a few of these dusty older books" line of conversation. Well said. I think greater direct creative collaboration between designers and writers/story-tellers is an exciting and very under-examined avenue for opening new territories and ways of (stuff like Stephen Farrell and Steve Tomasula's "VAS: An Opear in Flatland" comes to mind... ). Wonderful post. If the health care thing gets worked out I think his freelance model will become even more prominent. Well done. So, use the Kindle App on the iPhone like I do. My hardware Kindle gathers dust; I do all my reading on the iPhone, these days. It's superior to the hardware Kindle in almost every way (no search, yet; my guess is that the new iPhone 3.0 search functions will fix that, however). it is still amazing to me the number of people who comment on the kindle because of what it doesn't do. the kindle does exactly what it is intended to do - be an e-book reader. when you read a book, that's all you do. you read it. you don't search it for an encyclopedia at the back, if it's current fiction or non-fiction, you may not highlight it. you read it. i akin the kindle to reading in the bookstore. if i wanted another book, i just get up and get it. when i read about a book i want, i just go to my kindle and "instant gratification." that's what the kindle is for. it's not a mini laptop, it's a n e-book reader. if you want more, go get something else. The Kindle comment makes no sense at all. As Robyn says above, Kindle does exactly what it's supposed to do: deliver books in electronic format. I'm not going to read an eBook on my laptop, it's too klunky and I will be tempted to start opening my email and surfing 500 different sites. I don't WANT more functionality on the ebook reader, i want only the ability to buy, download, and read lots of books, magazines, etc. 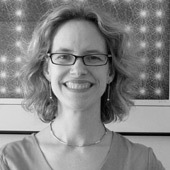 Ellen Lupton is director of the Graphic Design MFA program at Maryland Institute College of Art (MICA) in Baltimore and curator of contemporary design at Cooper-Hewitt, National Design Museum. Her latest book, Design Your Life, was recently published by St Martin’s Press.